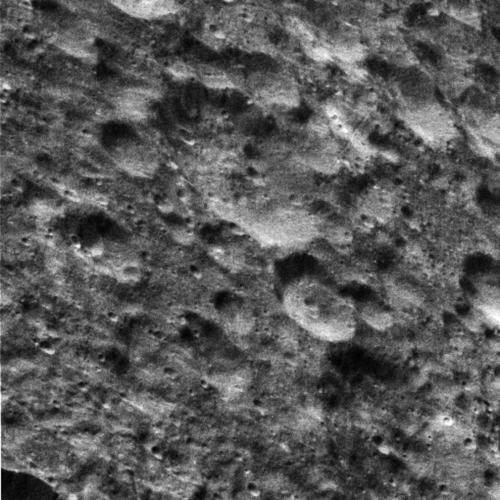 Although it was fairly flat compared to Iapetus, and lacked impressively large features like Tethys’s Ithica Chasma, or Rhea’s two great multi-ringed impact basins, Dione’s moonscapes were nevertheless highly differentiated. 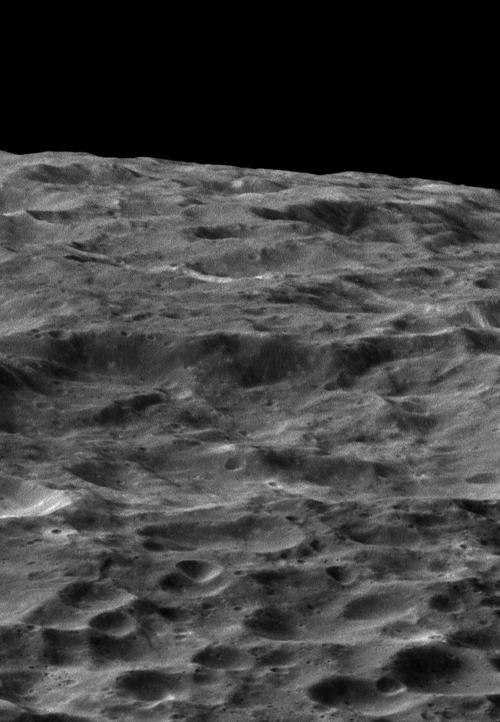 Satellite surveys and a century of exploration had not yet exhausted them; gypsy prospectors like Karyl could make a living from searching out volcanic deposits of phosphates and nitrates and sulphates, veins of breciated carbonaceous chondrite material from cometary impacts, and the remains of stony or iron meteorites. It was a lonely life, sure, and often frustrating, with long dry spells when strike after strike uncovered nothing useful. But like all gamblers, the occasional reward drove him ever onward across Dione’s cratered plains and smooth plains, through the troughs and labyrinthine badlands. Sometimes, especially late in the afternoon, with low sunlight mingling with Saturn’s pastel glow and the moonscape curving away on every side glowing like beaten bronze and everything casting two shadows, one short and one long, like the hands of an old-fashioned clock, Karyl’s heart lifted and turned on a flood of happiness, as if he was the emperor of all he surveyed, the only witness to Dione’s pure, bleak, uncanny beauty. Words from 'Karyl's War', Stories From The Quiet War. 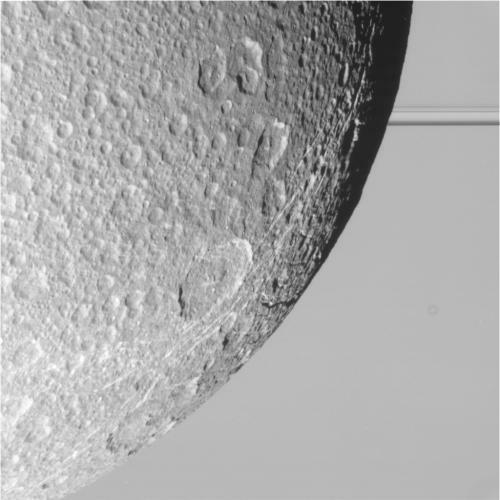 Images from Cassini's last close encounter with Saturn's moon Dione, August 17, 2015. Image Credits: NASA/JPL-Caltech/Space Science Institute.